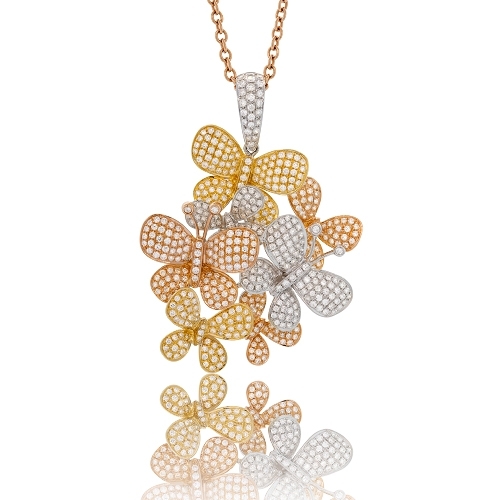 18k Tri-Color Pendant with diamond encrusted butterflies set in a cluster fashion. Diamonds approx. 3.99ct. Pendant 2.25"